In just a few days, Loveland Ski Area will have a name for a new chairlift being built this summer. 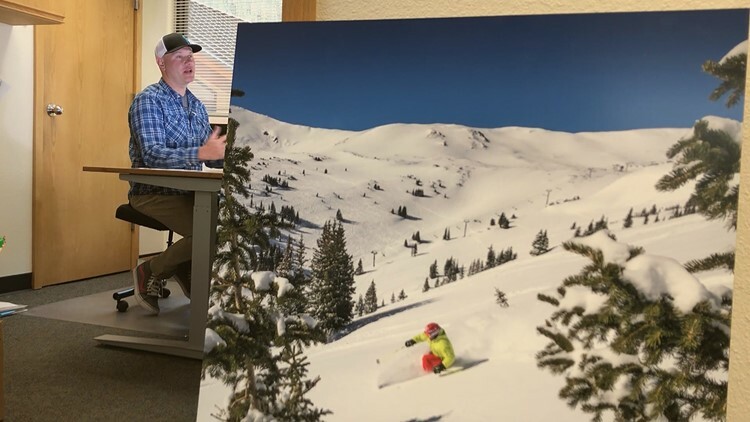 LOVELAND SKI RESORT — It will be a few more months before Loveland Ski Area’s new chairlift is finished, with plans to have it ready for opening day in October. But inside the marketing offices, John Sellers and the staff are just days away from naming that chairlift. “They started with a contest asking people to come up with a good name,” Sellers said. That contest produced around 3,000 interesting ideas ranging from 'Lifty McLiftFace' to 'The Luv Line.' Now the ski area is ready to pick the very best one. “We anticipate having an announcement early next week,” Sellers said. It hasn’t been easy, with great love-themed names to choose from. “We have a lot of love references –Love Lift, Love Seats, The Love Machine,”’ Sellers said. The person who picks the winning name will be able to choose between a season pass at Loveland or a chair from Chair One, which has been torn down. “We plan to have this chair for a few decades, so whatever we select we hope everyone likes it because it will be there awhile,” Sellers said.